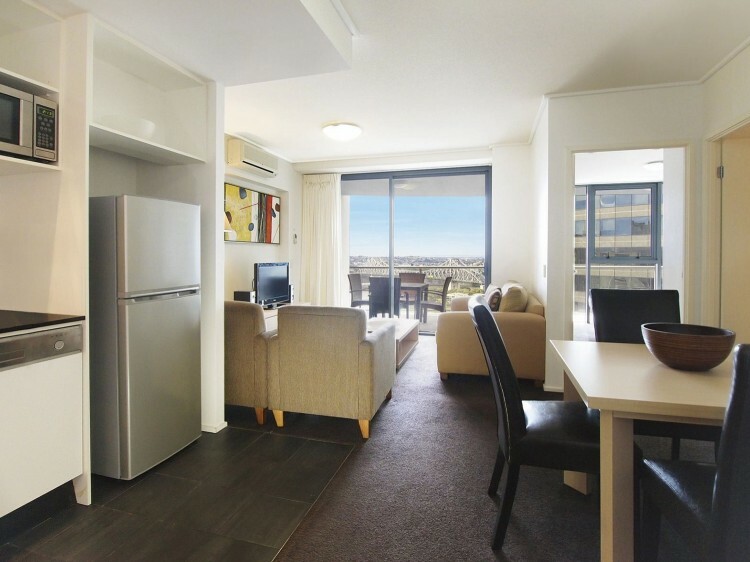 Positioned to take full advantage of Brisbane's exciting and unique lifestyle, Oaks Felix is a winner with business and leisure travellers alike, promising deluxe, self-contained apartment accommodation in the heart of the city's CBD and a variety of resort-style leisure facilities, catering to the discerning needs of all types of guests. 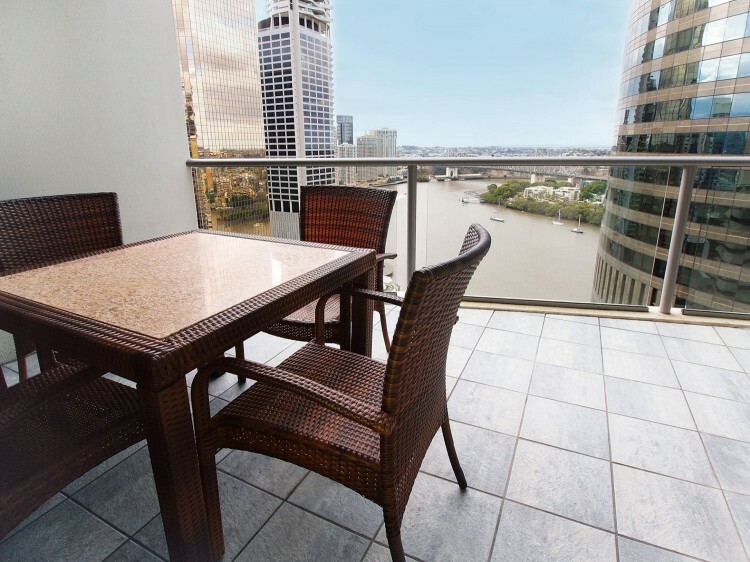 Our 4.5 star property stretches 40 storeys high and boasts a distinctive curved design, offering some of the most spectacular views of the Brisbane River, bustling city and Story Bridge in all of Brisbane. Adjacent to Eagle Street Pier, guests of Oaks Felix will enjoy the myriad tastes, sights and sounds that are on offer in this entertainment and dining precinct; featuring an abundance of casual and fine dining restaurants, cocktail bars, pubs and weekend Riverside Markets, there is something for everyone. Also within walking distance is the iconic Botanic Gardens, the shopping emporium that is Queen Street Mall and the CityCat Ferry Terminal where travellers can spend the day cruising the Brisbane River and hopping on and off at their desired landmarks, whether it be South Bank, the Queensland Museum or Newfarm to name just a few. 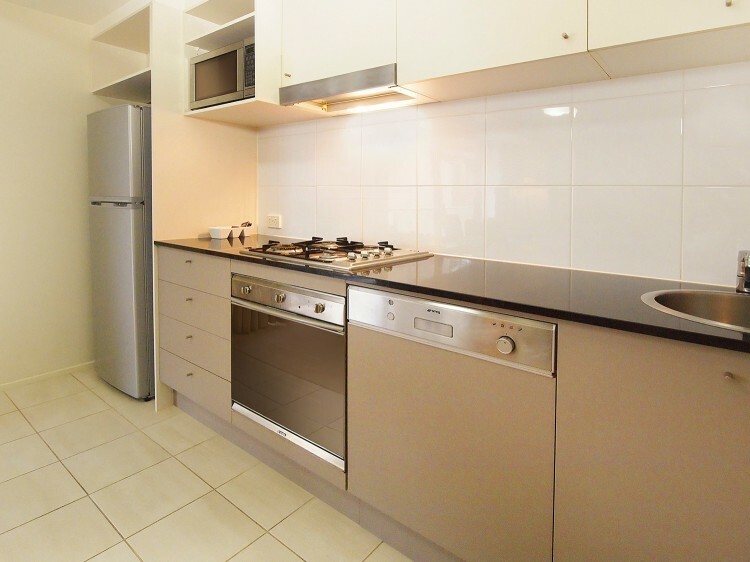 Oaks Felix offers an impressive selection of one and two bedroom self-contained apartments, all featuring full kitchens, laundry facilities, Internet access, stunning floor-to-ceiling windows, private balconies and superb appointments. Leisure facilities include a 25m-heated lap pool surrounded by a modern sun deck and comfortable sun lounges, sauna, spa, gymnasium and barbeque area - perfect for entertaining and soaking in the cityscapes below. 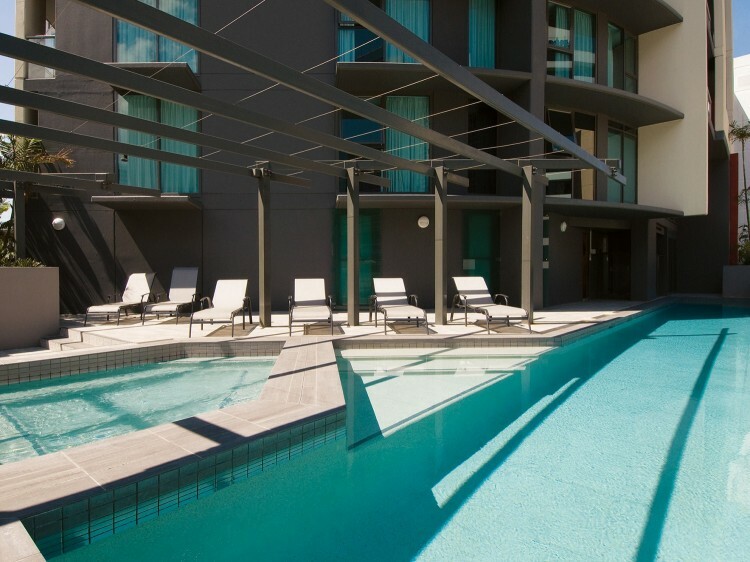 Catering equally to the corporate guest as well as the leisure traveler looking for the best vantage point to enjoy Brisbane, Oaks Felix is a modern blend of the traditional and cutting edge, teamed with friendly, professional service. Limited onsite parking is available for $30 per night (subject to change without notice). Bookings are essential and must be made in advance. 2.1m height restriction. Prices are subject to change without notice.